Captain Jean-Luc Picard faces his worst nightmare-again. In STAR TREK: First Contact, Picard and crew of the ENTERPRISE are perhaps the only ones who can stop the Borg’s attempt to assimimlate all of planet Earth. 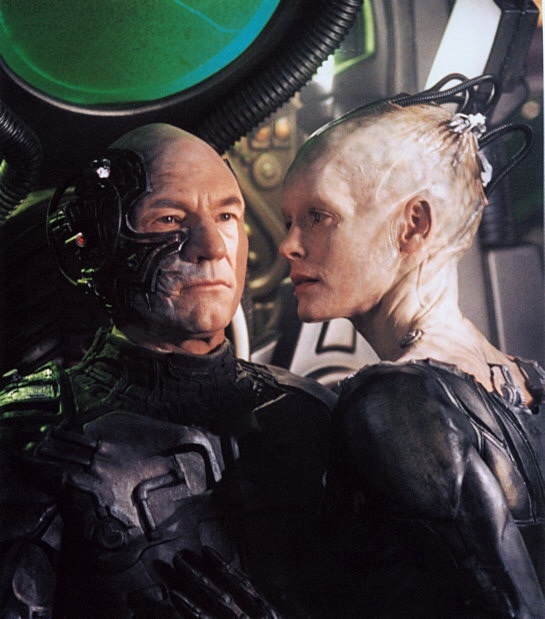 Having been previously abducted and transformed into “Locutus of Borg,” Picard struggles to defeat the demons that remain from his experiences with the Borg. 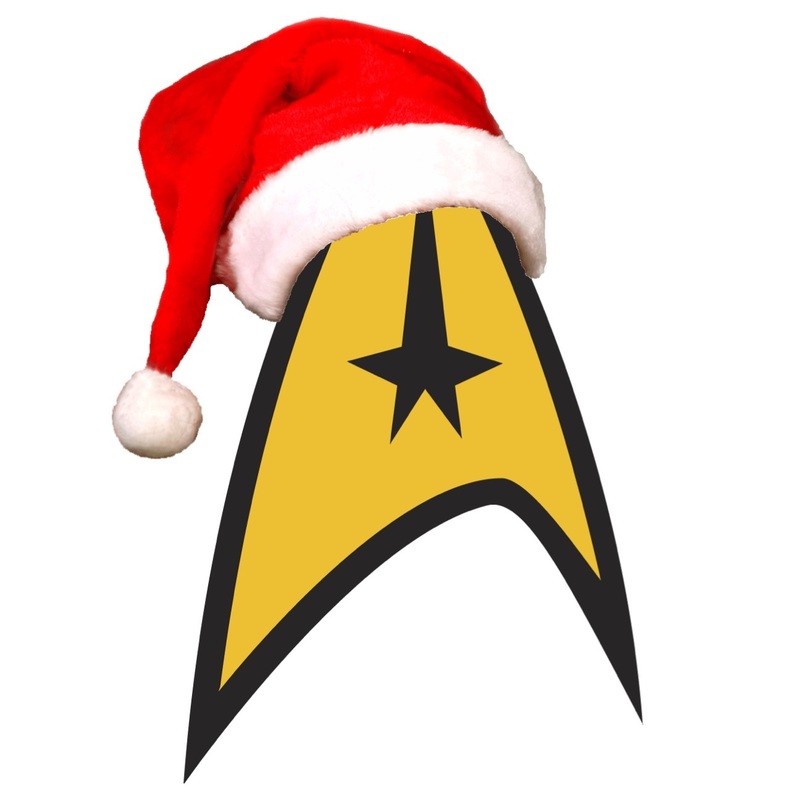 The fate of Earth and all the peoples of the Federation are at stake. “Resistance is futile.” Or is it? 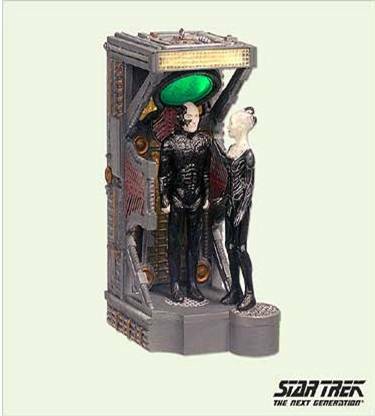 This Keepsake Ornament features dialogue between Locutus and the Borg queen. Press the button on the side to hear one of four different parts of their conversations. The eerie lights of the regeneration chamber flash continuously. 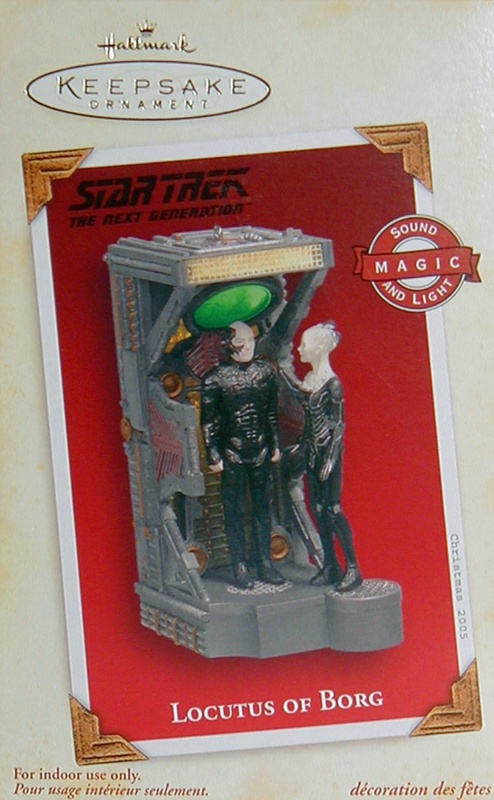 This entry was posted in 041) 2005 Locutus, 2005, Anita Marra Rogers, Borg Queen, First Contact, Locutus, Magic Voice & Light, Master List, Picard, Pigtail, Scenes, ST: TNG (Films) on October 24, 2011 by garfieldandtrump. 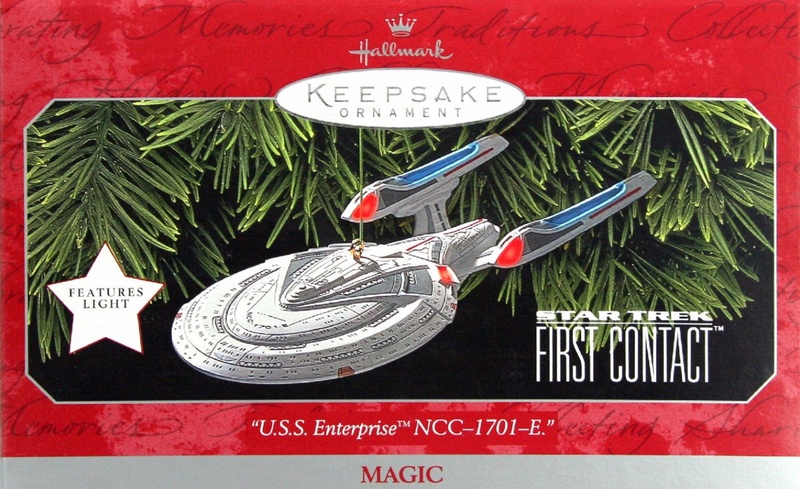 Box Text: A unique ornament – featuring the U.S.S. Enterprise-E NCC-1701-E from Star Trek: First Contact. Under the command of Captain Jean-Luc Picard, the crew of the 24th-century Starship Enterprise is traveling back in time to the 21st century. There, they’ll confront the biggest threat to the Star Trek universe – the Borg, whose actions would alter history and turn Earth into a Borg colony. The U.S.S. Enterprise seen in the movie is the sixth starship in the history of the Federation to carry the proud name Enterprise. The front deflector shield as well as both warp engines and the impulse engines are lighted. Lynn Norton…“I adore the E. They did things to it to make it look more aerodynamic than it needed to be, but those choices gave it more style—a more swept-back, speedy appearance like a modern race car. This entry was posted in 016) 1998 Enterprise E, 1998, Ent. NCC-1701-E, First Contact, Lynn Norton, Magic Light, Master List, Pigtail, Ships, ST: TNG (Films) on October 21, 2011 by garfieldandtrump.